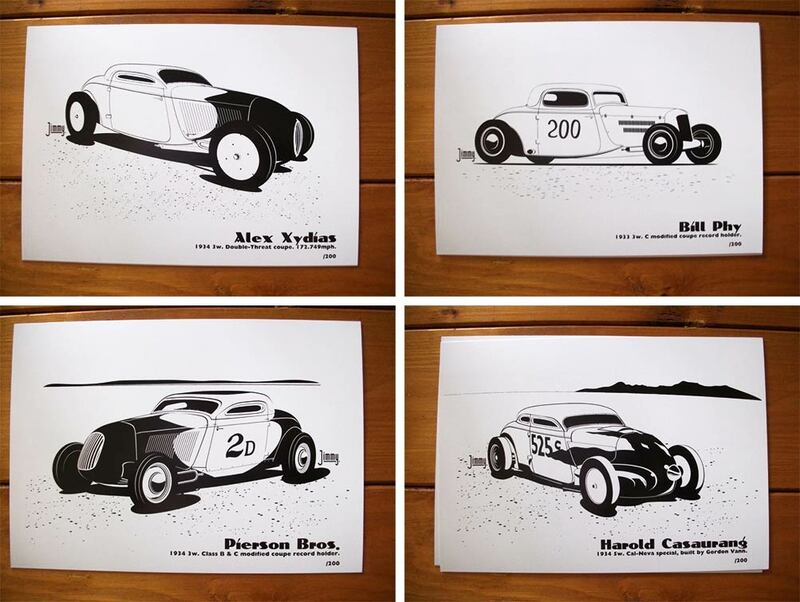 CCC-Hot Rod contributer and Hot Rod illustrator Jimmy B has released a set of ten Hot Rod Coupe Illustrations. Lets take a look at closer look at Jimmy’s work. The set of 10 Hot Rod Coupe illustrations are limited to 200 sets. All will be hand numbered and signed by Jimmy. The set comes in a great looking matt celloglazed die-cut folder. 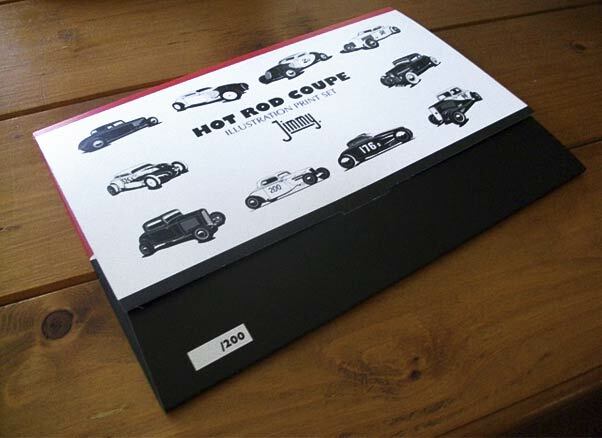 The folder opens from the back side which shows each of the included coupe illustrations. The 10 Illustrations are printed on heavy 300 gsm card and are neatly stored inside this folder. The prints are on 300 gsm card. The dimensions are 11.69″ x 8.25″ (A4, 297mm x 210mm). 8 of the 10 illustrations are shown above. A little more info about Jimmy. G’day, my name is Jimmy Barter I am a 32 year old graphic designer and illustrator from Australia, most people know me as Jimmy B on various message boards. I have worked as graphic designer and illustrator for 12 years. 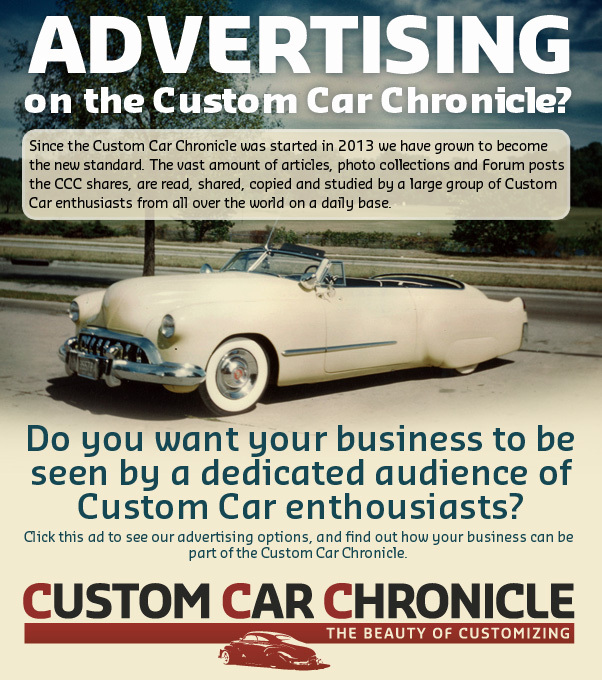 As some of you know I am passionate about the early days of Hot Rodding which includes Customs. I have always been interested in history but when I was 13 I was diagnosed with Osgood–Schlatter’s, basically the ligaments in my knees pulled away from the tibia in both legs while I was running. This forced me to spend the Summer of ’95 on the couch resting my legs. This is when I dug thru my Dads magazine collection which included Australian Hot Rod, Australian Hot Rodding Review, Custom Rodder (oz) all from the mid 60s to late 70s. 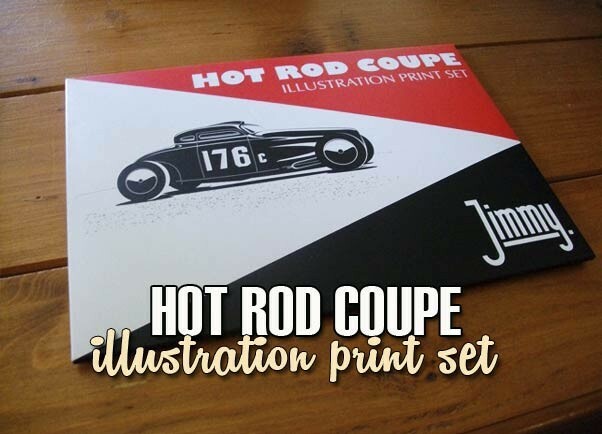 Reading those mags done two things, cemented my desire to research the early days as much as possible and when I started drawing cars, the latest of which are included in my Hot Rod Coupe print set. 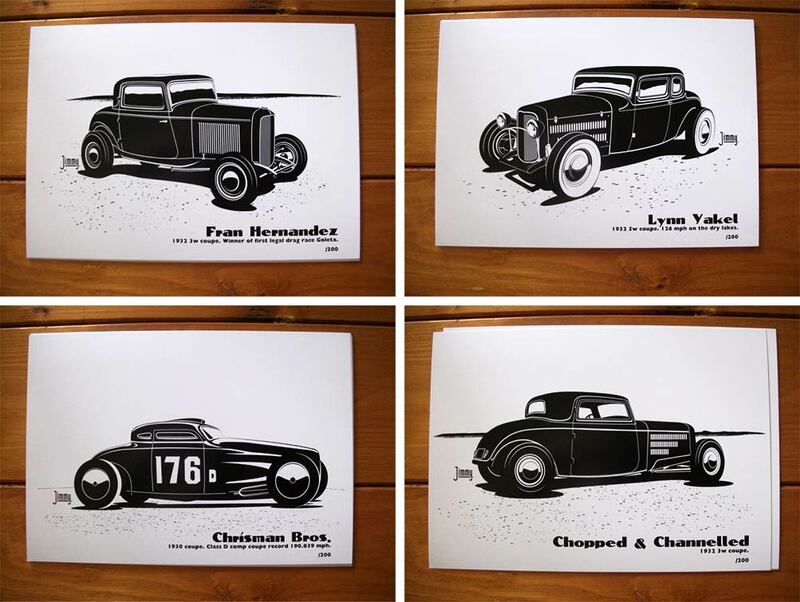 Knowledge without sharing is a pointless endeavour so I always try to share what I learn as it can help someone with a project or identify a old forgotten hot rod, this sharing has lead some people to call me a historian, personally I see myself as an enthusiast. Researching those early days helps keep that period alive as those that lived it are slowly passing. 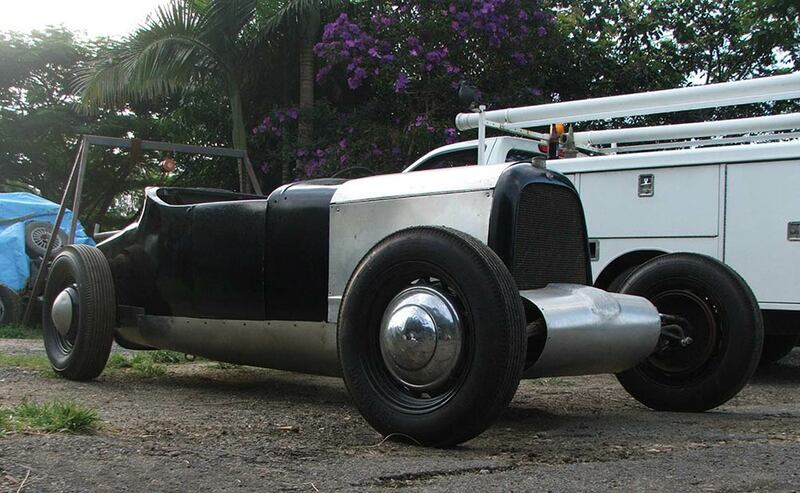 Project wise I have been building a 1925 Chev roadster for 8 years, inspired by the Spurgin-Giovanine roadster. 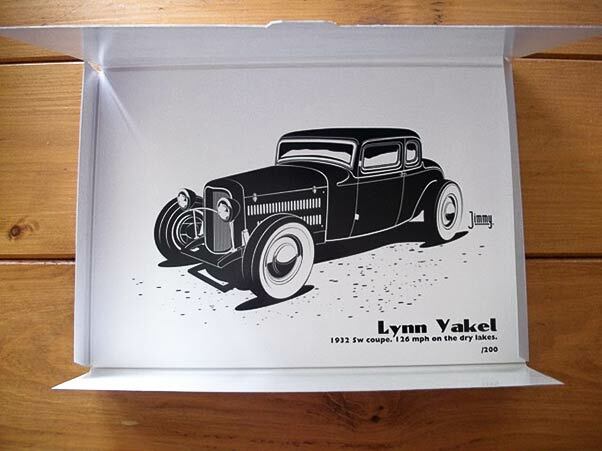 I have two more ’25 Chevs to build later on, A 1941 Ford ute & slowly collecting parts for a full fended ’28 A roadster. 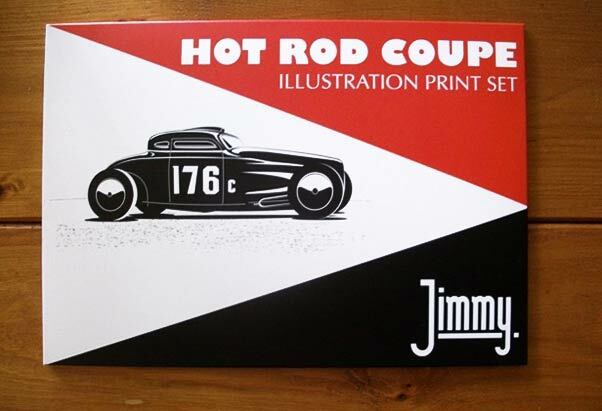 check out his blog Hot Rods of the dry lakes era or his Jimmy Barter blog. Sorry to say, he’s south of the border….but not far. Tweed Valley.